DALLAS UNLIMITED will custom design an evening of music... just for you! your Special Song to their list, too. Can they do requests? Definitely! DALLAS UNLIMITED COUNTRY... a great choice! Dallas Unlimited Variety Band performs hundreds of songs and instrumental favorites. (Please note that a typical event's music list is about 50 tunes!) Our band is receptive to learning SPECIAL REQUESTS and will work with you in customizing according to your specific musical tastes and desires. Please submit your special requests at least 4 weeks prior to your event. 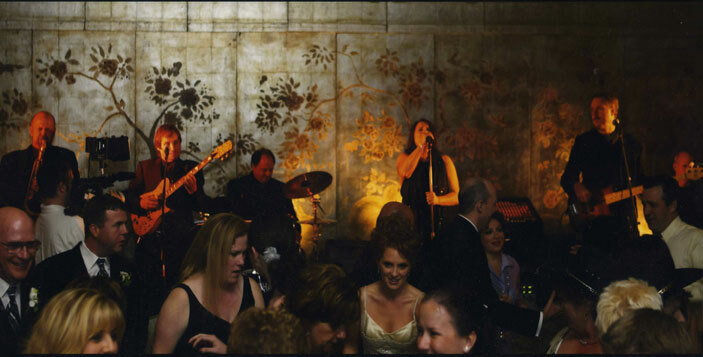 We look forward to entertaining for you and your guests and creating a CLASSY and FUN evening for all to remember! "Carol, you steered me in the right direction! The showmanship of Molly was absolutely the highlight of their performance. Our guests are still raving over the band! They were so extremely responsive to my requests as to selections and amplification. I had asked for soft music during dinner so guests could converge and not even blare out during the dance period of the evening. Quite frankly, they were perfect for the Ashton Hotel Ballroom!" "Wonderful talent, wonderful entertainers. So friendly and fun--perfect! 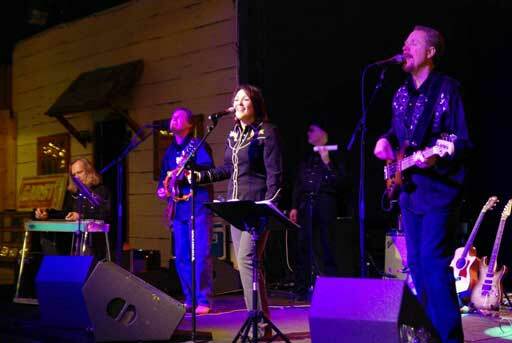 "Molly and The Dallas Unlimited Band were fantastic as usual! This is the 3rd wedding and Molly's band has played at all three. Molly took the time at the last minute to learn a song, "You're So Vain" that we requested as the Father/Daughter dance song." "As always Dallas Unlimited was wonderful!" "I thought the music was excellent, upbeat and just what we wanted!" "We love them! Molly is so much fun! Great dance band! "Great enthusiastic band - Molly was the best! Very flexible!" "Dallas Unlimited was a great band! The dance floor was never empty! They truly made our wedding special!" "Yes, they were great! Many of our guests wanted to know the mane of the band and guests stayed later than usual." "Dallas Unlimited was great and kept everyone on the dance floor the whole night of the Gala. Molly is a fantastic singer and entertainer, she is able to feel the mood of the evening and we had a great party." "The band was great! They got everyone involved and everyone had a great time!" "I was most pleased with this group - professional in every way. Molly and the band were very good at working with the audience...I am certainly agreeable to contacting Carol Marks Music for any future needs that I may have." "Everyone enjoyed Dallas Unlimited very much. People were still dancing up to closing. Great job!" "When we found out our daughter, Dawn, was getting married, we knew the entertainers we wanted would be Dallas Unlimited. We are so thankful that Dallas Unlimited was available for our second daughter's wedding reception. The staff of Carol Marks Music was very helpful and prompt with answering any questions that we had. The lead singer of the band was very helpful to our daughter in choosing those important first dance songs and father/daughter dances. If we had another daughter, we would want to hear the wonderful music of Dallas Unlimited again. If we have any other special events we would love to have Dallas Unlimited provide the music. Thank you for the wonderful entertainment and making our evening a wonderful, joyous event." "I couldn't be happier with Dallas Unlimited. Molly was an absolute pleasure to work with - she even learned two new songs for us. The band was amazing - they kept everyone dancing all night long and the event flowed smoothly. I'd hire them again in a heartbeat and would highly recommend them!" "The band was very well received. More persons danced than normally do at the Ball." "They were very good, excellent and everybody enjoyed the music." "The performance was wonderful! Our guests are still talking about what a great time they had. Molly was a joy to work with. She made sure everything was perfect for us." "They were excellent and we loved them! They were a great addition to our Spring Formal." "They were great! Everyone would love them back." "You guys were great! I have heard nothing but compliments about your show Saturday night. Our members had a fantastic time at the party largely due to your performance and enthusiasm. You have a lovely voice and smile which make you guys even better. Thank you for providing us with such a great show! I look forward to working with you again in the future." "Your band was such a fantastic hit at Georgina Moncrief's engagement party that everyone is still asking for your name and telephone number. Your musicians are brilliant and you are incredible. Everyone appreciated your efforts in making the party work, and I personally look forward to dancing to your music again in the very, very near future." "Your band is fantastic--nothing less describes the talent we saw at our daughter's wedding reception on September 8th, 2001. We all felt like dancing until the wee hours of the morning but all too soon the evening was over. Where can we go to continue dancing to your music? We can't recommend you and your group highly enough. You knew how to involve the audience to the point where even the "wallflowers" were clapping and wanting to "twist and shout". A very professional sound at a reasonable price! Dallas Unlimited -- they ROCK!!!" "Molly and her band (Dallas Unlimited) were wonderful! We were so impressed and everyone has commented! Please have anyone call us for a verbal reference! Carol Marks was very helpful when I came in a little stressed due to timing! She made sure I had a great band and great service! Thank you!" "Molly was so wonderful to work with... We thank them for making our wedding everything we hoped for"